Make this an extremely successful event! If there is anything you would like to publicise, then get in touch! An extremely successful SCOTEX 2018! Thank you to all who attended and a big thanks in particular to Richard Stenlake who organised the event on behalf of the SPTA. Dealers and collectors: Send your Feedback using the CONTACT SPTA: tab on the left. What was done right? How could things be improved. It's up to you now! 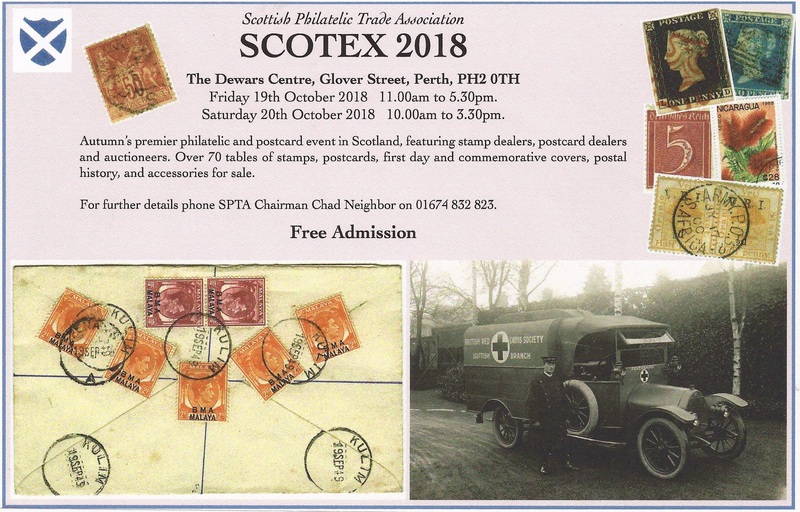 It's almost time for SCOTEX 2018, see you there!